The latest winning entry in our ‘Your Shot’ photo competition, captured in Tanzania by Jill Beaumont. “This photo was taken in Tanzania. 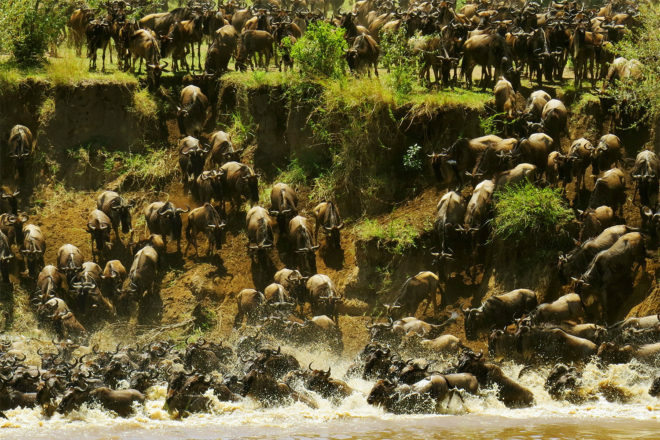 Thousands of wildebeest were crossing the Mara River as part of their annual migration. For this incredible photo, IT reader Jill Beaumont has won a Tamron SP 70-200mm F/2.8 lens (model number A009), valued at $1699.